Manufacturer of a wide range of products which include basketball court flooring service and squash court back wall glass. 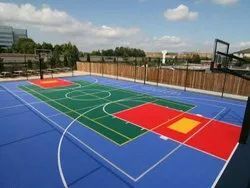 We offer our clients Basketball Court Flooring Service at competitive prices across Country. 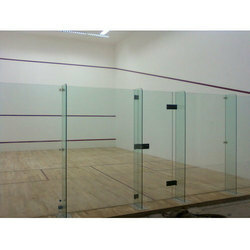 Front wall It has a "service line", the top of which is 184 cm above the floor and has the "board"
We are one of the leading organizations engaged in the designing of Squash Court Back Wall Glass. Our offered court is designed at our unit using premium glass which is obtained at our end from the authentic vendors of the market with the aid of latest technological advancements. This court is available with us in various specifications such as hard plaster systems with epoxy based plasters, in order to meet the variegated needs of our customers.